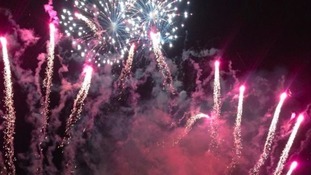 More than 35,000 people attended the 31st Carlisle Fireshow. Preparations are underway for Carlisle's Bitts Park Fireshow, which is celebrating its 30th anniversary this weekend. Ahead of this Saturday’s Carlisle Fireshow, police are advising attendees to leave drones at home. Last year there was an incident of a drone being used illegally at the Bitts Park event, so police are asking drone-users to leave their equipment at home. A user cannot fly a drone within 150 metres of a crowd of 1,000 or more. A user cannot fly a drone within 150 metres of a congested area. A user cannot fly within 50m of any person, vehicle, vessel or structure not under their direct control. We want everyone to have a safe and enjoyable evening at this Saturday’s Fireshow. The legislation is clear on the use of drones and anyone who would fly one at the Fireshow will be committing a criminal offence. Police have a range of options to identify pilots using drones recklessly and will take action on any person that endangers this event." More than £5,000 was raised at last year's fireshow in Carlisle for local charities. The money will be given to the Rotary Club of Carlisle (South) and the Mayor's Charity Fund. The spectacular array of fireworks ensured that the evening was a great family night out. The event was attended by 50,000 people. A cheque will be presented to Rotary South today at 3pm at the Civic Centre. Thousands of people turned out for this year's fireshow, at Bitts Park in Carlisle. The theme was 'Spellbound Sensations'.